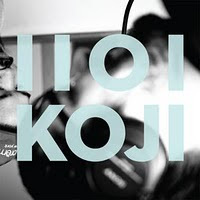 Check out this review of the newly released album IIOI/KOJI on Alter the Press! I got to play cello on the last track of this album at one of the most sincerely fun recording sessions I have ever done. I remember coming home after that session so thankful for the experience and knowing already that the song would be beautiful! And I got a what-what from the author of the review, Barney Dutton. He says, "The strings on ‘Giants Sleeping’ give the song a real pop sheen that closes the record well." That's all me, baby! Read the review here. I didn't review the record. Barney Dufton reviewed the album. Oh thanks! I will correct it.